Carrie Harris' debut novel Bad Taste in Boys is such a smart read. 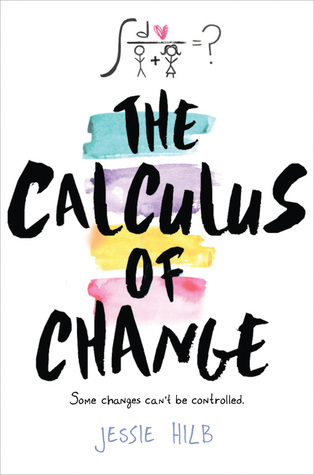 It pulls together so many of the elements readers love to see in YA fiction, including a smart but somewhat unexpected female protagonist, the hunky unattainable and secretly sweet jock, a dorky yet lovable little brother, a little bit of the paranormal, and a plot twist laced with the threat of blackmail. More plainly said.... Girl + boy + zombies + betrayal = Pure win. Kate Grable, an aspiring med school student, is doing her due diligence as the student trainer for the high school football team when she discovers that someone is giving the team steroids. As if that wasn't bad enough, the steroids are turning her players into zombies. Once the outbreak begins, there seems to be no stopping it. The drugs, black vomit that smells like "toasted poop", and the bites of the hungry undead are spreading the strange disease like wildfire. Fingers go missing. Feet get stolen. There's even an instance of Car vs. Zombie. Kate, the only person with a clue about what's going on, is the last line of defense. The truth of how it all started and who's behind it is shocking to Kate, but equally as horrifying is that she may have had something to do with it. Harris' portrayal of the clever, shy girl is spot on. Kate is likeable, relatable and easy to trust which makes you buy into her story even more. Her conversational voice is full of humor and a healthy dose of sarcasm and snark. It also gives her the ability to make the science understandable for even the dumbest of jocks, despite her being a bonafide science geek. Aaron, the quarterback Kate's crushing on, is not the stereotypical lunkhead. He's not even that great of a football player, but he is sweet and smart and actually gives Kate the time of day. And, as an added bonus, I wasn't reminded how hunky he was every three pages. My favorite character weaseled his way into several scenes and into my heart. Jonah, oh Jonah, you are every bit the annoying little brother. But peel back the nerdy layers and buried inside is a genuinely good guy who would throw himself to the zombie horde before he let them take his sister. He throws an emotional wrench into the plot. 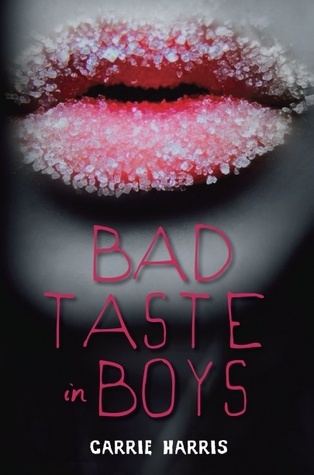 At just over 200 pages, Bad Taste in Boys is a book that can easily be devoured in a sitting. It's not heavy on the romance, but Kate and Aaron's relationship has a nice slow bloom. It's also light on the gore with the exception of a handful of scenes that include the icky black vomit. And if kissing and puking and vehicular maiming (does it count if he's already undead?) don't get you excited to read this fun, quirky take on zombies, there's also a strategically placed Twilight dig that's guaranteed to get you laughing. Ooh, excellent! I've been looking forward to this book, especially knowing how funny Carrie is on her blog. Thanks for the great review! Feet go missing? I'm in. I'm always up for a good zombie read :) this one does sound really interesting! And 200ish pages is really short and quick, definitely sounds worth the time.